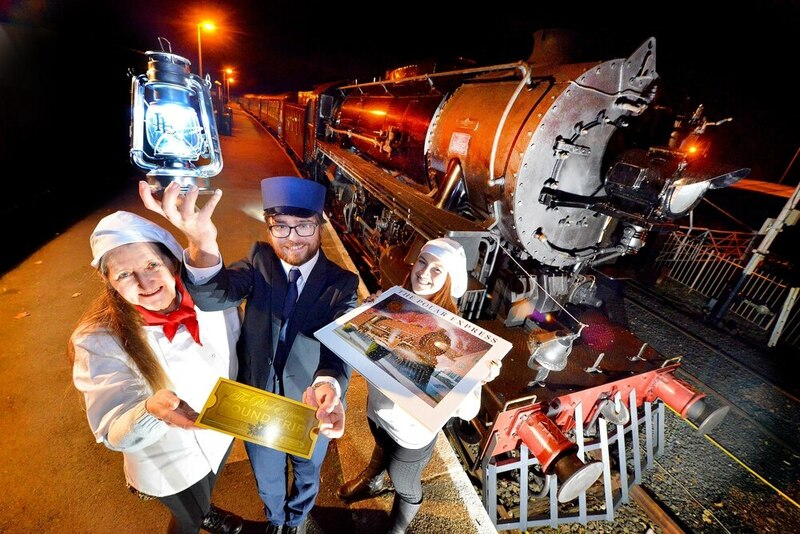 Telford Steam Railway's Polar Express is putting on a free ride for a group of families who paid for tickets from a day trip organiser that did not materialise. The group of 79 children and adults were expecting to visit the heritage attraction on Sunday after booking the seats several months ago through a third party, but they only discovered last week that the tickets had not been paid for. Now generous trustees at the not-for-profit railway have stepped in to offer a free trip to the group from Dudley after hearing of their plight. Trip organiser Gemma Lapping, of Gemma's Trips, has since told the Shropshire Star that all the people affected have since been reimbursed. Mother-of-three Kelly Armstrong said she handed over £200 for seats for her and children Rhiannon, 15, Fletcher, nine, and Erin, eight, along with several other families from the Dudley area. "We all paid in April for the Polar Express trip for Sunday. But when the tickets didn't arrive I started to ask the woman organising it, what was happening. Then a week last Sunday after posting messages on social media and after contacting the steam railway we found that that she never even paid the bill. They said a request was sent to the lady back in May for the money or else the booking would be rejected. No money was ever paid. "That left a big group of people absolutely devastated. We thought we would completely miss out on the experience. But thanks to the lovely people at the steam railway, we'll be able to go after all. Almost 80 people have been looking forward to going on the ride for months and it was a treat for the kids for Christmas. We explained to the directors what had happened and they have kindly agreed to put on a free journey for us next weekend. We are so grateful to them. "I'm in touch with people by social media and some of us have been refunded," said Mrs Armstrong, of Cradley Heath. In response to the allegations Ms Lapping said she would like to apologise for what happened, but she did not provide any explanation as to why the tickets were not paid for when the money was due in the spring. "I've done 28 trips so far this year and all gone to plan. This was the first one that didn't go to plan and they've all had their refunds," Ms Lapping said. West Midlands Police spokesman Craig Hughes said that a complaint has been made to the force about the matter and the families were being advised to contact agency Action Fraud with their concerns. The railway based, in Bridge Road, Horsehay, said: "We have decided to run a train for the almost 80 people affected free of charge." The Polar Express was launched on the weekend and it is the second year that the attraction is running the festive rides based on the hit Hollywood animation starring Tom Hanks.